DIN Standards are invented for a variety of components including industrial fasteners as DIN 660 Round Head Rivets. 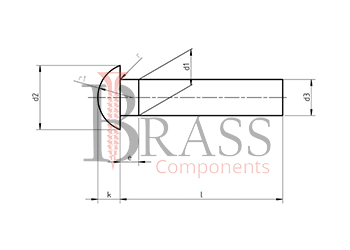 DIN 660 Rivets are manufactured from Carbon Steel, Stainless Steel Grade A2 or A4, Brass, Alloy Steel, Copper, Plain steel or many other materials. DIN 660 Rivets are available in a wide range of sizes, shapes and materials. DIN 660 Rivets are available with a semi-circular head. Provide Reliability and Durability of structure due to the elimination of the spread of crack. Hammer is used for riveted connection of the Drive Type. 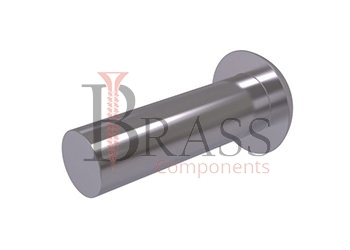 Available in a variety of sizes and parameters to select fasteners as per your requirement. Two-Way access to the work surface is necessary to Install Fasteners. Elimination of the change in the structure of the metals to be Bonded. Widely used in machine building to create permanent fasteners for metal flat surfaces. Used for fastening various metals including sheet metals, aluminium and other non-ferrous alloys. We manufacture DIN 660 Rivets as per Custom Specification and export in Germany, Sweden, Denmark, Norway, Russia, France and other European Countries. For more Information, Please Contact Us or Inquiry Now.